Social purpose organisations (SPOs) encounter countless daily challenges including profitability, scaling up for more investment, and compliance issues. When the stakes are high, legal matters can fall to the sideline. TrustLaw, the global pro bono service of the Thomson Reuters Foundation, works with the world’s best law firms across 175 countries to provide free legal assistance to over 4,000 social enterprises and NGOs globally. With the goal to strengthen civil society, TrustLaw connects organisations for pro bono advice to navigate their day-to-day legal needs, as well as facilitating ground-breaking legal research and legal best practice guides for the social sector. Drawing on TrustLaw’s eight years of experience facilitating pro bono requests, we have identified the three most common legal needs of SPOs in Asia. Many SPOs may decide to expand and manage their operations in multiple jurisdictions, but navigating the legal landscape of another country can be daunting. Having strong legal support with wide connections will help SPOs focus their resources on the expansion of their projects and ensure that they are operating in compliance with the laws in each country. Through TrustLaw, AVPN’s Deal Share SPO, Blue Dragon Children’s Foundation, has been able to resolve tax matters for their entity in the USA, structure a new entity in the UK and receive advice on the French criminal law. All of these supported their rescue operations for children at risk in Vietnam. Investment and fundraising is another prime concern for SPOs, particularly where there are restrictive laws governing the transaction of foreign capital. SPOs often request for advice on the different investment arrangements with regards to their current structure and mission, as well as help developing guides on the laws relevant for impact investing in their region. Being equipped with knowledge of these laws will ensure that they are able to bring in new domestic and foreign investors in compliance with the local laws. Not fully understanding relevant laws in your jurisdiction or non-compliance with such laws can risk the loss of investment in your SPO, or worse, incur legal liability. 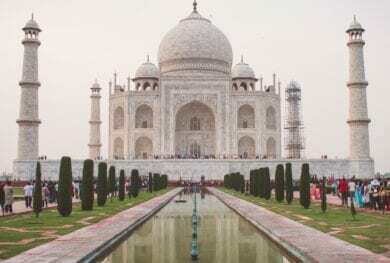 For instance, international donors often want to know whether Indian non-profits are fulfilling their obligations under the Indian Foreign Contribution Regulations Act. It is therefore important to have a sound understanding of the regulations on investment and fundraising to ensure there are no stumbling blocks in your operations down the road. To be empowered to make sound legal decisions, SPOs are encouraged to read through various guides within the broader sector. These include the ASEAN Social Enterprise Structuring Guide, that outlines different structuring options and their implications on financing in 8 ASEAN countries, the Guide on Setting up a “Friends-of” Organisation, for non-US based organisations to solicit US donations, and a Crowd Funding Guide on regulations applicable to UK fundraisers and investors. Intellectual property and data protection is also an important legal area for SPOs to consider. Apart from preventing your organisation’s intellectual property rights, such as name, logo and products at risk of being counterfeited by another company, your should also ensure that you are not infringing on anyone’s privacy rights from any personal data collected. Through legal advice obtained on India’s intellectual property frameworks, Bempu Health was able to patent their temperature-monitoring bracelets that help prevent newborn deaths from neonatal hypothermia, leading to its early commercialization. The advice not only protected their trademark and design from potential infringement by others, but also helped them get selected as one of the 17 awardees for the USAID Saving Lives at Birth grant. While the three areas above are common to SPOs, they are not the only ones. Other prevailing challenges SPOs have are gaining the right assistance on tax matters, drafting agreements with different parties, employment contracts, and more. How do I know what are the legal needs of my SPO? TrustLaw has developed an Online Legal Health Check that helps SPOs assess their own legal needs. Through a 10-15 minutes survey, you can find out if there are gaps in the legal understanding of your operations. Any identified areas for legal assistance can then be requested through TrustLaw. Don’t wait for a problem to take action. Ensure your SPO is legally protected today. AVPN and Trust Law are partnering to make legal services more readily accessible for SPOs on the DSP. Submit your project listing on the Deal Share Platform today to find out more. 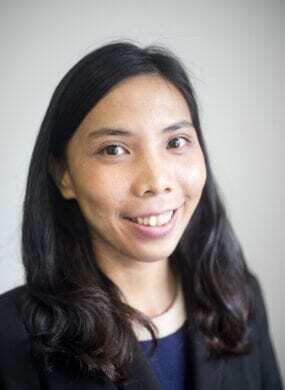 Fiona Li is the Programme Officer of TrustLaw, the global pro bono service of the Thomson Reuters Foundation. Based in Bangkok, she manages relationships with TrustLaw’s network of NGOs and social enterprises in Asia Pacific, with a particular focus on East Asia. She is passionate about social justice and empowering marginalized groups through education, and is excited to see pro bono collaborations meeting the needs of organisations on the ground. British Council Survey: What Support Services Do Social Enterprises Need in Your Country?